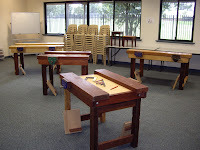 Years ago I took a class with Tod Herrli at Olde Mill Cabinet Shoppe on making a panel raiser plane. When Tod teaches on the road, he brings with him a petite, but fully functional workbench (first photo). The removable shelving unit underneath the benchtop adds weight when handplaning. The face and tail vises are beefy. 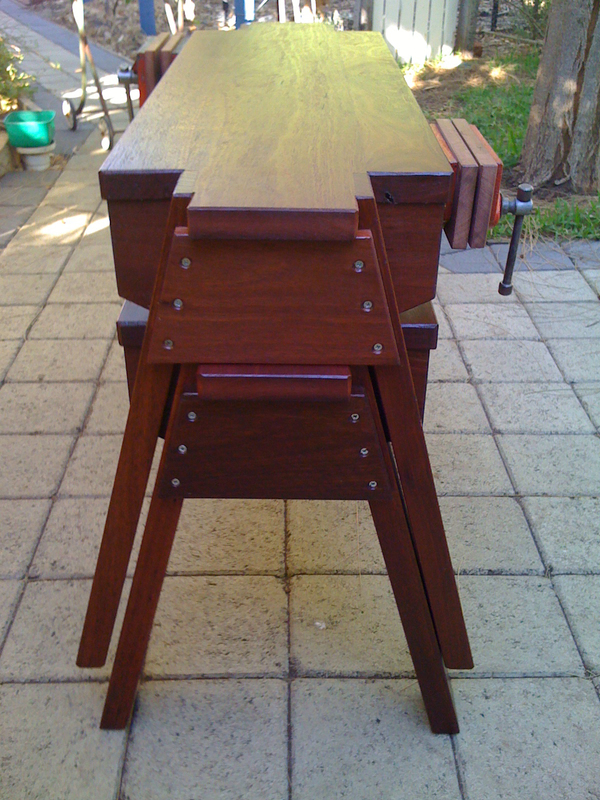 Cubbies of tool holders hang on the back edge of the benchtop by way of hooked arms. 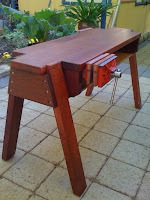 After my last post about portable work surfaces, I got an email from Greg Miller of Western Australia who shared with me some of the cool workbenches he's made (remaining five photos). You can read his posts here and here. 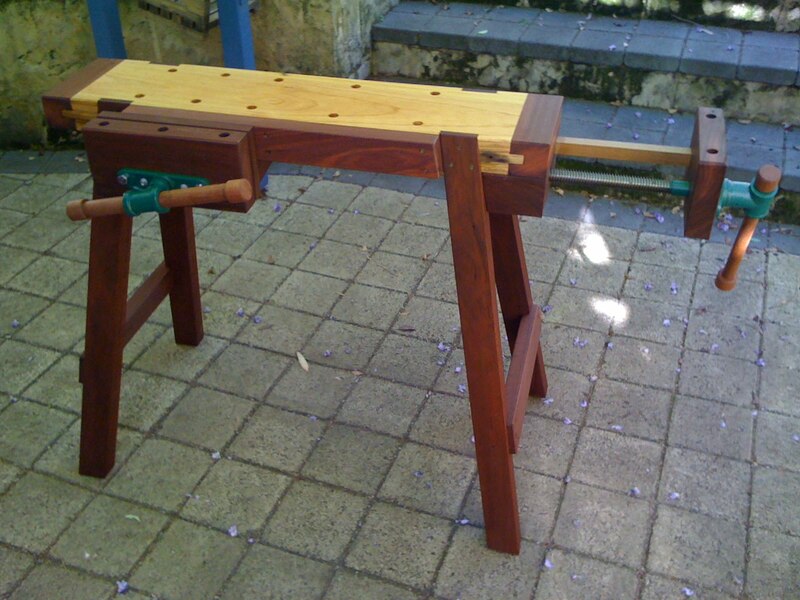 I call it my “Saw Stool on Steroids”. When I am doing joinery repairs on site, it is just perfect. Plenty of holding power with two vices, solid as a rock, and the right height for hand planing, chopping mortices, etc. I also use it for teaching, as people can easily gather round it. Since I wrote that post I have added wheels on one end. 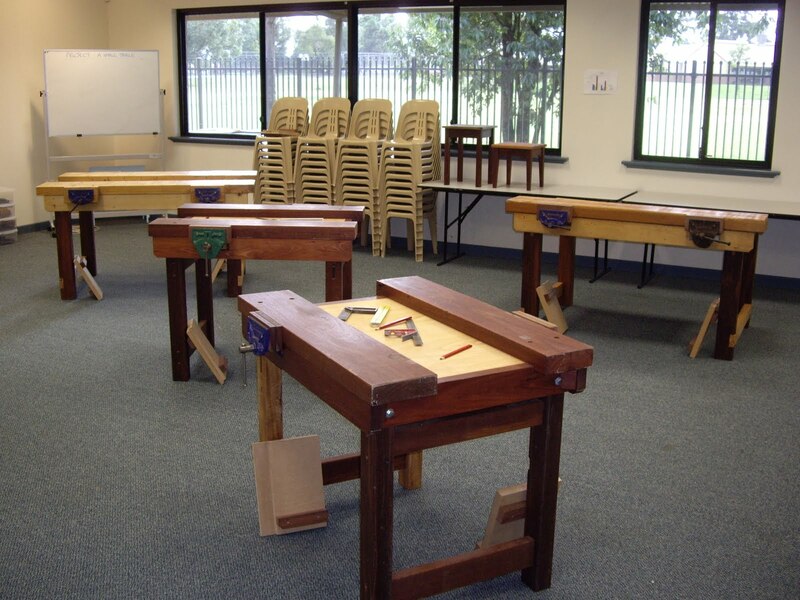 These are arranged so they engage when you lift one end by the tail vice handle. It works like a steering wheel! Wheeling it around my customers’ houses to get nearer to the action was made easier by sticking a pair of wheels on one end. 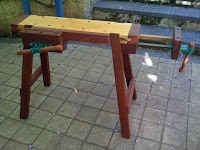 I also do woodworking with kids and have cooked up a bench that works really well for the stuff I do with them. I now have 5 of them, and they are portable in that they are not too heavy – but they stack really nicely, too. 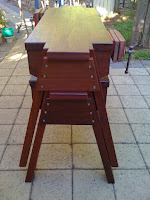 They are a range of heights, as I do woodworking with kids from about age 3 upwards. 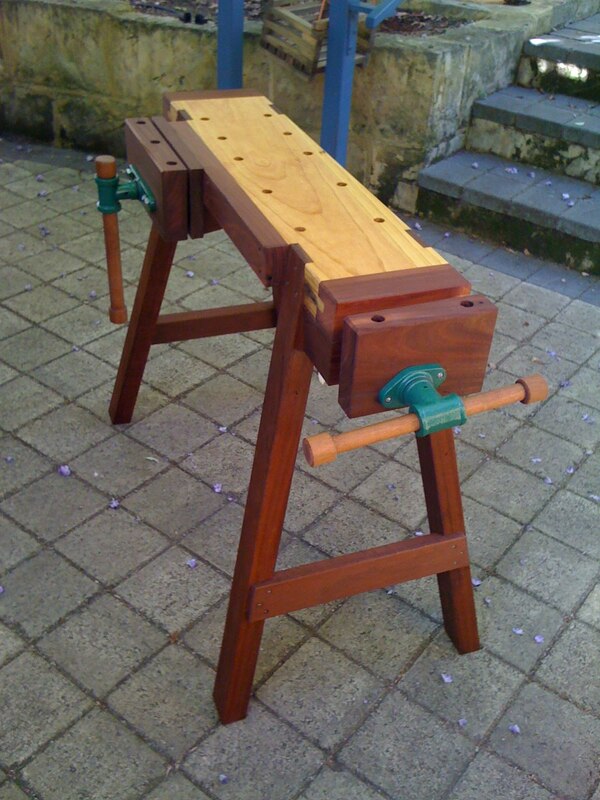 Now that we have so many choices in building our own portable workbench, the question remains: Where should we add the handle so it can be designated as "carry-on luggage"?